"For YBA, the Green Line doesn't exist." so said Rabbi Beni Nachtailer,Director General of the YBA Educational Network in Israel, at the dedication ceremony of new dormitory buildings at UBA Neria this month. "We are committed to opening schools wherever there is a need for quality religious Zionist education in the entire Land of Israel." That is the reason why the YBA network opened UBA Neria ten years ago in the Talmon block of settlements within the Mateh Binyamin Regional Council. In total, 14 of the network's 74 schools are located in Judea, Samaria and the Golan Heights. The new dormitory buildings replace the aging caravans the school has used since its founding in 2004. The new buildings, while still temporary in nature, will provide a vastly improved quality of life for the school's 300 students until a permanent residential facility can be built. 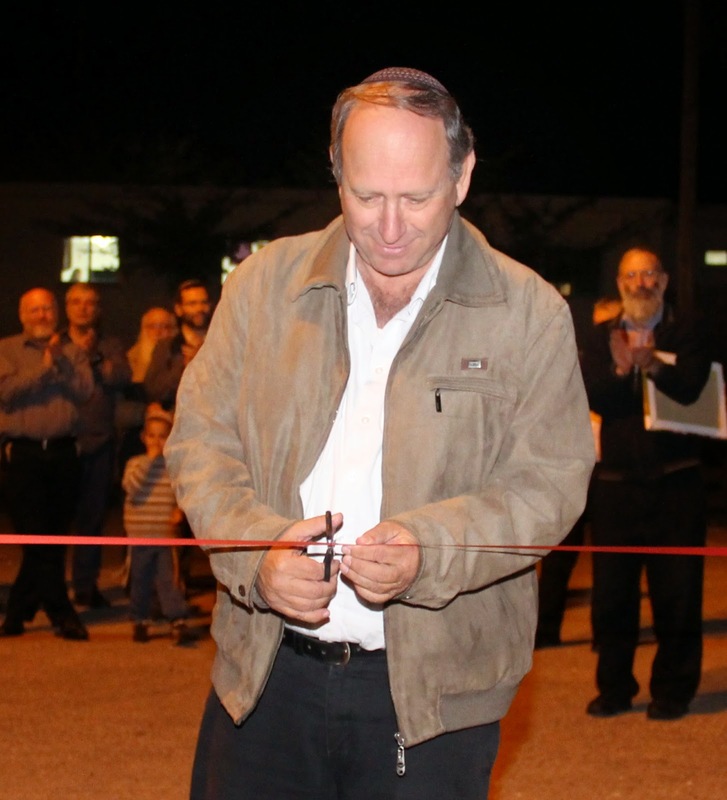 Funding for the new structures was provided by the Mateh Binyamin Regional Council. Mayor Avi Roeh was joined by other public officials in formally opening the new facility. UBA Neria is named after Rabbi Moshe Zvi Neria, z”l, the founder of the first YBA yeshiva high school in 1940, and spiritual mentor of the ‘Kipa Seruga’ generation, which has moved into leadership positions in the IDF and in all aspects of Israeli society in recent years.